Storing batteries in a storage unit is generally fine as long as you have properly prepared them and selected the right storage unit. Some of the factors you need to consider when preparing your batteries for a storage unit include storage temperature, battery charge percentage, and storage time. Today, Affordable Family Storage will discuss some tips for properly preparing your batteries for a storage unit. The recommended storage temperature for most batteries is 60° Fahrenheit, with the extreme temperature range from -40° to 122° Fahrenheit. While there is some leeway with storage temperature, storage units that are not climate-controlled can damage your batteries when they heat up in the summer. The recommended charge state for batteries depends on the base of the battery. Lead acid batteries must always be stored at a full charge during their time in storage. Nickel and lithium-based batteries should be kept around a 40-percent charge in a storage unit. This charge state minimizes age-related capacity loss while allowing for some self-discharge. While nickel-based batteries can be stored at a fully discharged state for short periods of time, lithium-based batteries should never dip below 2V/cell for any length of time. Lithium-batteries that have dipped below that level are at risk of becoming unstable when recharged. 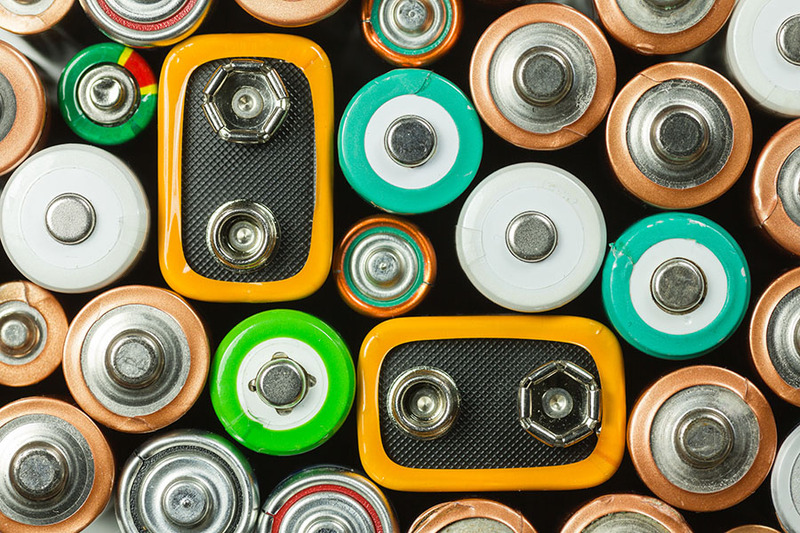 Nickel-based batteries can safely be placed in a storage unit for three to five years. However, if the charge level dips below 1V/cell, priming may become necessary. Alkaline and lithium batteries can be stored for up to ten years with little capacity loss. Lead-acid batteries can be stored up to two years, but certain manufacturers may recommend other lengths. Whenever possible, try to store batteries in their original packaging. Store your batteries with their negative and positive terminals away from each other, so that your batteries do not idly conduct off one another. Try to keep new and old batteries separate from one another while in your storage unit. If stored together, power can be drawn from the new batteries, shortening their life. Whatever your storage needs may be, Affordable Family Storage has the storage unit for you. With our climate-controlled storage units and 24-hour security, you can be sure that your items will remain safe and secure. If you are interested in learning more about our storage units, contact us today.